With Fortnite’s World Cup Qualifying underway it should come as no surprise that this week’s patch, v8.40 is on the small side. The biggest addition to Battle Royale comes in the form of a new gun (kinda): the Epic and Legendary versions of the Infantry Rifle. This version of the weapon has a new model and a different sound, but overall it’s still the same gun as its lesser-rarity cousins. All the Infantry Rifles remain semi-automatic and hitscan, meaning that you don’t have to lead your target when you shoot. That about does it for the balance changes (unless you count Epic adding the ability to pet Fortnite’s various pets), but there is a new game mode coming with this patch. 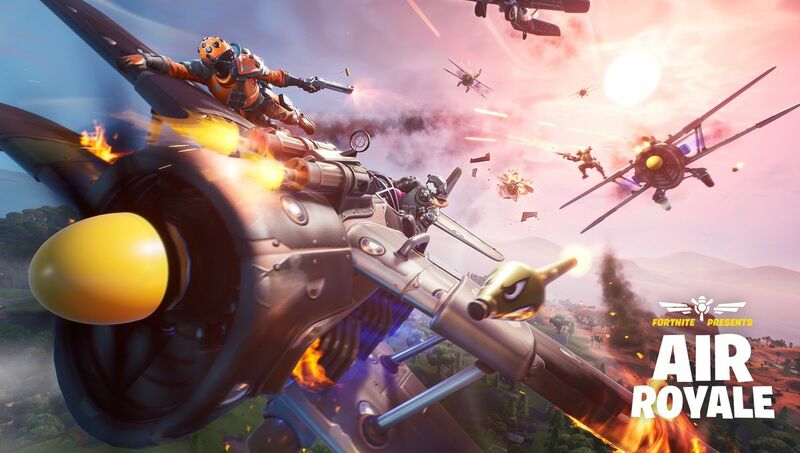 The new Air Royale mode brings back the planes from last season for their own specific mode. The mode is duo only and will focus on dogfighting with each team starting in a plane that has three lives. Run out of lives or touch the ground and you’re eliminated. If you outlive all of your opponents, you win. For a look at all the changes Epic is bringing to Fortnite in patch v8.40 you can check out the full patch notes below. You can now pet the dog … and other Pets!